In the corporate world, an award ceremony is an important event hosted by the concerned company. It serves as a platform to encourage talent and identify an individual’s contribution to the organisation. In Chennai, Kiyoh helps you organise the various award ceremonies that are part of your organisation’s brand building strategy. We decide the financial aspects like budget allocation with the client and plan the function to suit your requirements. First, we start off by deciding the venue of the award function. Most of the firms have their own conference halls so zeroing on the venue is not a problem. Kiyoh assists them in other aspects such as décor, catering and other essentials. The next factor is whether the particular award ceremony has arranged for catering services. This matters because the budget might vary if the client decides to host dinner or lunch after the event. In this case, selecting the menu and cuisine forms a major part of the work for us. We believe that everything must be planned and executed carefully, so there is no confusion at the time of the event. When we talk about globalisation, our clients have their headquarters abroad, or they might have their partners working overseas. 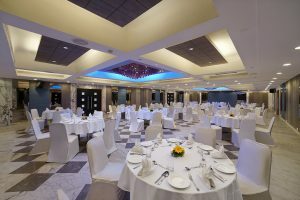 In such an instance, we take care of the catering and hospitality service, so your foreign counterparts feel at home in India. Once the preliminary aspects are taken care of, we look into creating the right invitation card. We will discuss ideas with our clients and come up with innovative ways to present the invitation card. It is crucial to decide the chief guest and other dignitaries’ names before we design the invitation card. At the end of the day, your brand or company is highlighted and you have a reason to partner with us for future events.